Michele Stephan Joins Maglio Christopher & Toale, P.A. Michele S. Stephan Joins Maglio Christopher & Toale, P.A. SARASOTA, FL — (April 19, 2018) – Maglio Christopher & Toale, P.A. 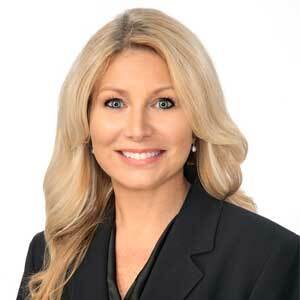 welcomes the addition of attorney Michele S. Stephan, Esq. to the Firm’s metal on metal hip litigation and complex litigation practices. Ms. Stephan will work out of the firm’s Sarasota, Florida office. Ms. Stephan has represented clients in civil litigation for over 20 years. Her experience includes litigating cases involving defective products, defective medical devices, personal injury, violation of nursing home resident’s rights, federal civil rights violations, international child abduction under The Hague Convention, and international law matters involving civil theft and fraud. Stephan is active in the legal community as a member of the Twelfth Judicial Circuit Pro Bono Committee, a current board member and past president of the Sarasota County Chapter of the Florida Association for Women Lawyers, a Master Emeritus of the Judge John M. Scheb American Inn of Court, and a member of the Sarasota County Bar Association. She also serves as a volunteer judge for Teen Court of Sarasota County, is a board member of the Friends of the Selby Public Library and runs a weekly legal clinic at the Resurrection House day shelter in Sarasota, Florida offering legal services to the homeless. Maglio Christopher & Toale, P. A. is a national complex litigation firm with 17 attorneys and offices located in Sarasota, FL, Washington, D.C., and Seattle, WA. The firm’s practice areas include vaccine injury compensation, defective metal on metal hip replacement litigation, construction and commercial law, qui tam and federal takings. For more information, you can contact us at 888.952.5242.